What is the deal with composters anyway? 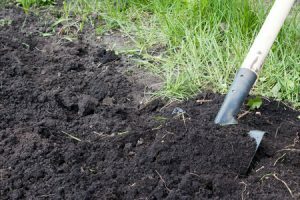 If you have dabbled in the gardening world at all you are probably aware of how compost can feed your soils. 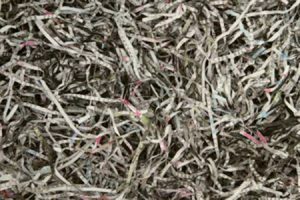 Chances are you’ve tried your hand at it as well with fabulous results, but aren’t exactly sure how your organic wastes turn into the black gold of the vegetative world. 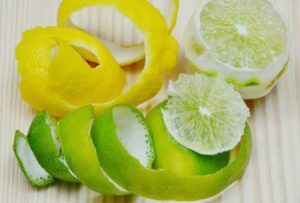 You just toss your scraps into the composter, turn it a few times, and within a few weeks or months- Voila’! You have compost! Right? Right. But how exactly did this occur? You’re probably aware that it’s a decomposition process, but what’s going on in that bin is rather complicated. 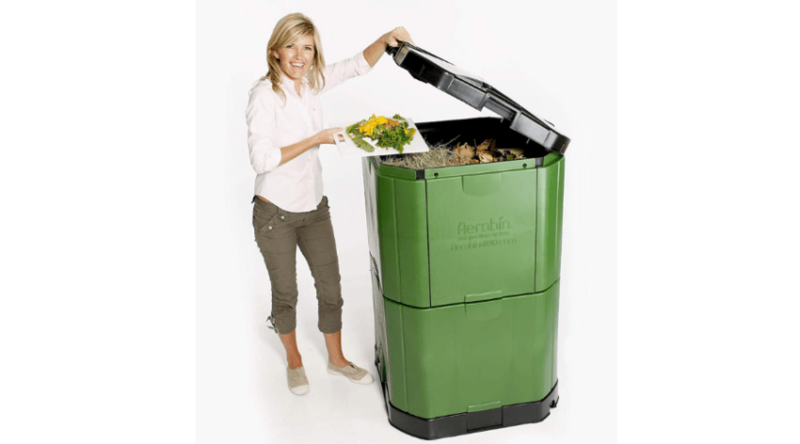 How exactly does a composter work? In order to fully answer the question, it all depends on what kind of composter you have. 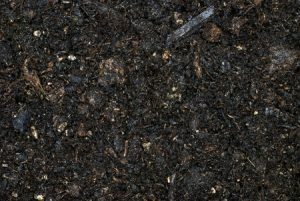 To make it clear, all composters have the same result: a loamy, earthy smelling rich, dark, crumbly mass that feeds the soils and improves upon the health of your plants through nutrient rich, decomposed organic materials. 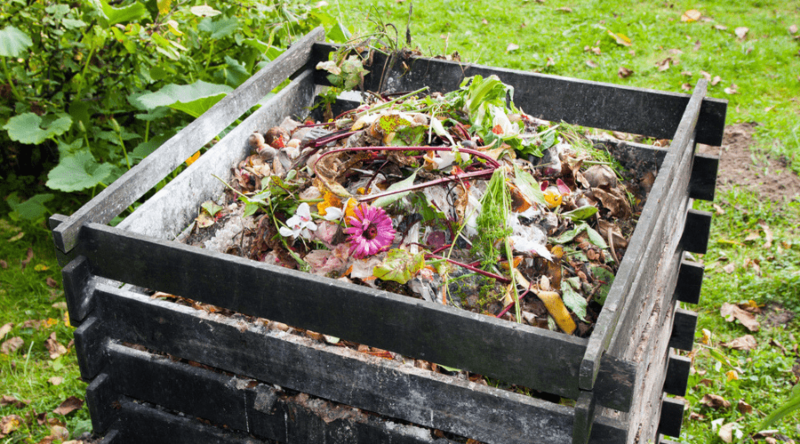 How they get that way, however, may differ between the types of composters doing the work. 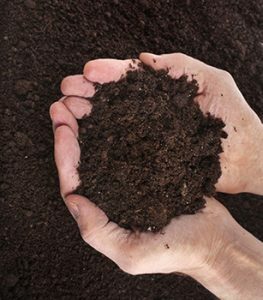 *Good to know: How does the use of compost differ from fertilizer? 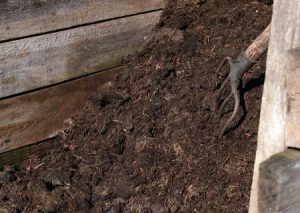 The most simple of all composting designs are those set up as a pile, or series of piles in their backyard that requires a lot of manual labor to turn and aerate over the few months it takes to get a usable product. But there are many that require much less effort and space, and also can be complimentary to your yard. 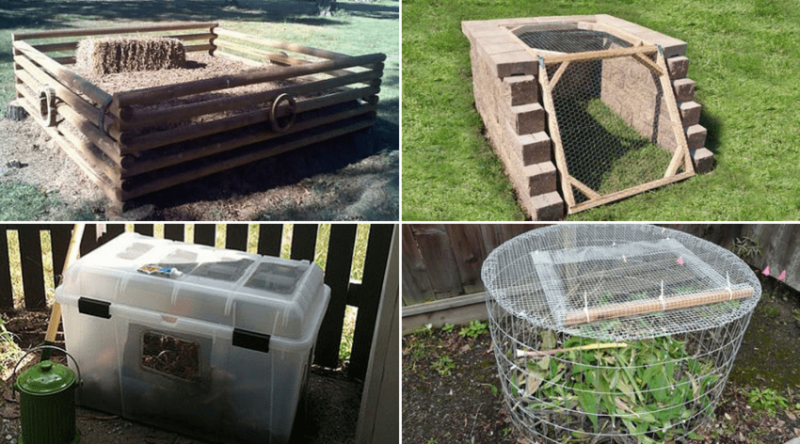 There are a wide variety of composters available both for purchase, and design to build, and each has it’s own unique way of getting to the end result through heating, mixing, and aeration techniques. Barrel and tumbling composters are generally a plastic barrel shaped, or rounded, plastic container of various sizes that is either mounted on a turning-like mechanism, or can be manually rotated, for compost aeration and mixing. These are amongst the most popular composter purchases since mixing your ingredients correctly will yield continual small batches of compost for garden use. Double composter tumbler designs are very handy as well since you can have a continually rotating batch of compost at the ready due to the dual design. 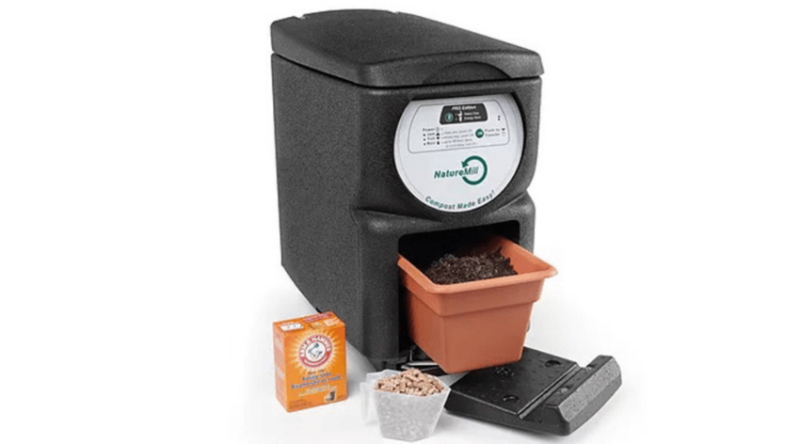 These composters work best with finely prepared materials to speed up the decomposition process within their fully sealed containers to create a hot compost. The design helps to keep in heat for quicker ‘bake’ time. and the mixing process is easily completed due to the hassle free turning to make sure all the ingredients are well integrated with oxygen to keep the various microbes and organisms busy at work. 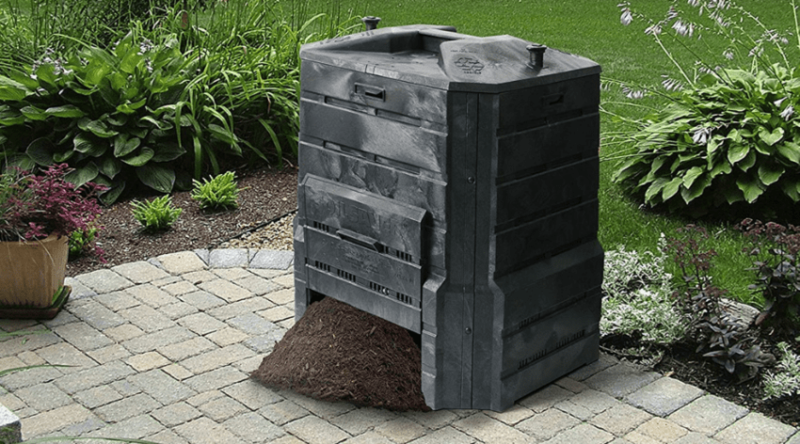 Popular in the UK and quickly gaining in popularity in the US, a beehive composter is a series of stackable bins that you place one upon another as your compost ‘grows’; complete with a rooftop. The bottom level opens up for for to easy access to the finished compost that is easy to shovel out. 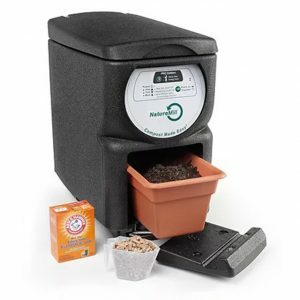 These composters work like a traditional compost pile in that you simply begin to pile in your compost ingredients and turn to aerate. As your compost grows you stack on another layer and continue to turn over your top layers. The layers below will continue to cook due to the heat kept within the enclosed space. You can check how ready it is through the lower access. Worm composting, or vermicomposting, is the process of using earthworms to create compost for you. It’s a simple process that only requires an enclosed bin (such as a plastic storage tote), a bedding of brown compost, moisture, worms, and kitchen scraps. The worms eat through the ingredients resulting in worm castings (yup, worm poop), and more worms through worm propagation, which is excellent feed for your soils and plants. Just be sure to keep your worm bin out of hot sun, rain, or freezing weather in the winter to keep your worms happy and creating your compost. 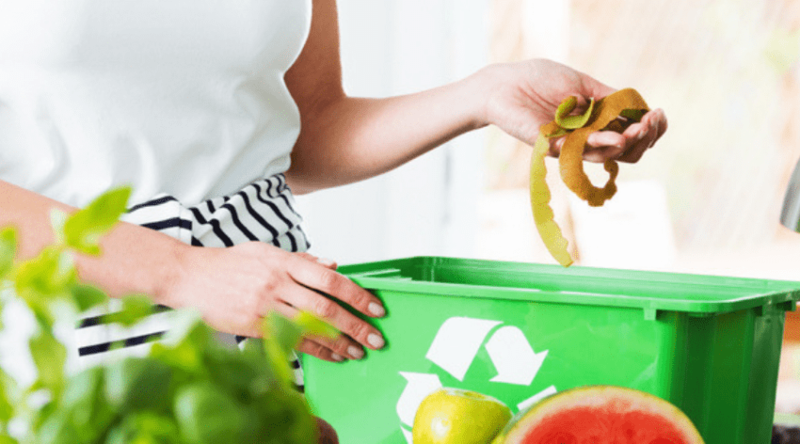 Kitchen, countertop, or benchtop composters are all similar names for smaller, indoor versions of composting bins that you can use to create your own compost indoors. This is especially handy for urban dwellers who like their concrete gardening and are looking to improve upon their soils without having to purchase expensive mixes from their local garden centers. These types of composters work one of two ways: either aerobically, like a traditional composter that uses oxygen and heat to break down your organic wastes into compost, or anaerobically (without oxygen) in an airtight container that uses a special mix of aerobic bacterias that must be added with new additional layer of waste to keep your ingredients cooking. 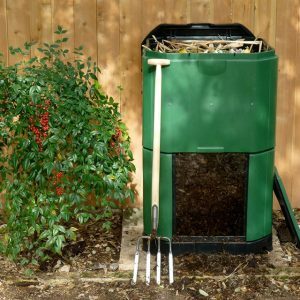 If you aren’t keen on a larger, spaced off area for traditional compost turning and cooking, a composter may be the answer you are looking for. Tumblers don’t take up much space, but may not yield the amounts you are looking for although they are easy to use and create a compost rather quickly. 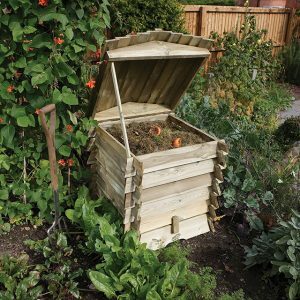 Beehives composters fit well into manicured gardening spaces and are pleasing to look at during the composting process, whereas you can hide away a worm composter and let those little buggers do the work for you. And if you are lacking any sort of yard at all, consider making your own indoors! Questions, suggestions, or comments? Please share below!